Aloha everyone. 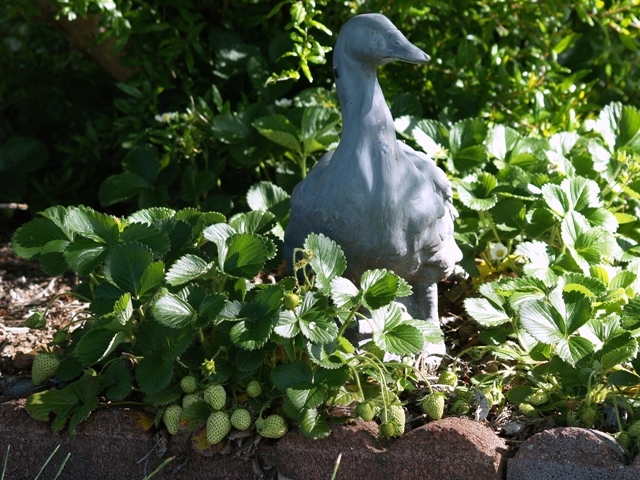 Today, I'm joining Susan's Outdoor Wednesday @ A Southern Daydreamer. If you are following my blog this week. You will see that I am preparing to go on a vacation on Saturday ( to Maui). Today I'm checking the garden to see what is in bloom now and what will be blooming when I come home on May 10th. I found two red strawberries today. My granddaughters love the strawberry batch. They pick them about every three days. They wash and eat them right out of the basket. We have strawberries on ice cream, strawberry short cake and I make strawberry jam to eat on french toast or on scones with tea. Last week I had one poppy and today I have a bouquet. 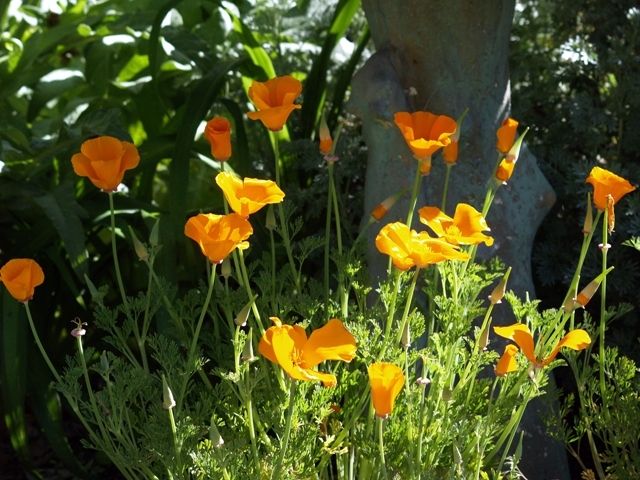 If the temp gets hot for a couple of days the poppies will be history. Dream Weaver is a very prolific climbing rose. It will be in bloom for about four weeks. 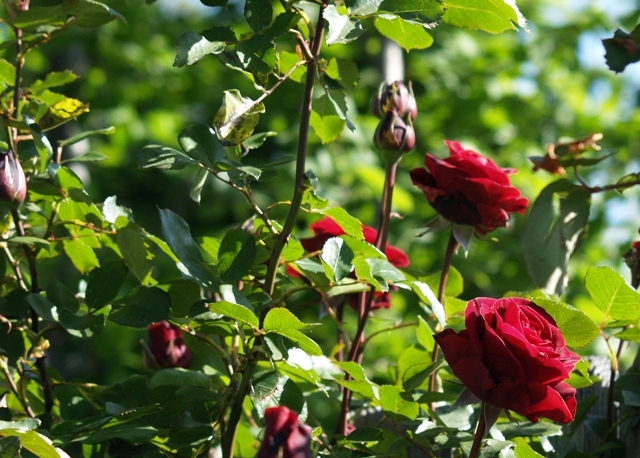 Don Juan is another climbing rose. Don Juan's fragrance is heady, tawny,almost musky-enough to make you swoon. 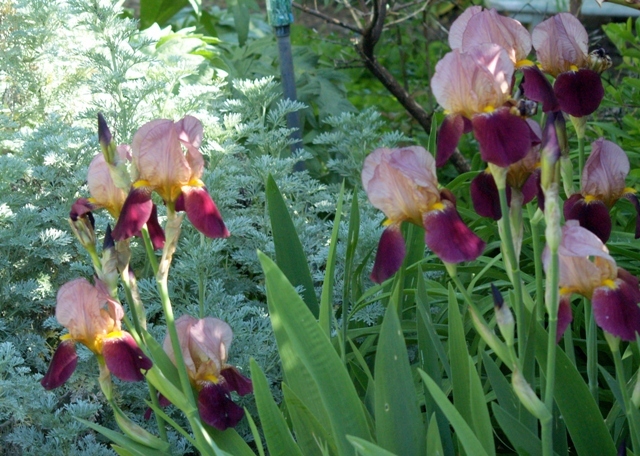 The Iris bed is just below Don Juan. I love Joseph's Coat. 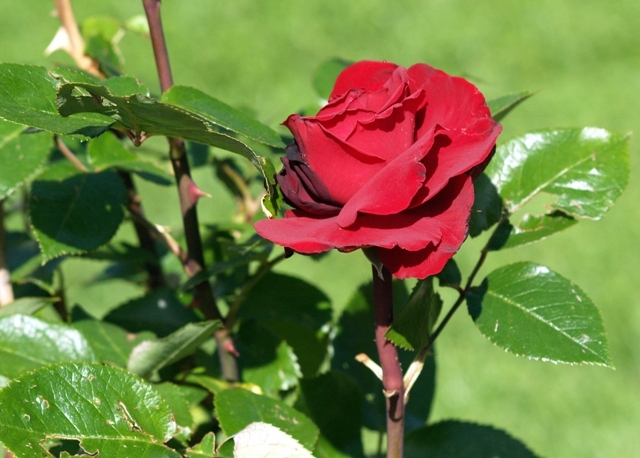 The buds are urn shaped, and unlike those of many climbers they occur on new wood. The plant can be trained as a climber on a pillar, fence, or trellis or because it is not very robust, can be allowed to grow as a loose, freestanding shrub. 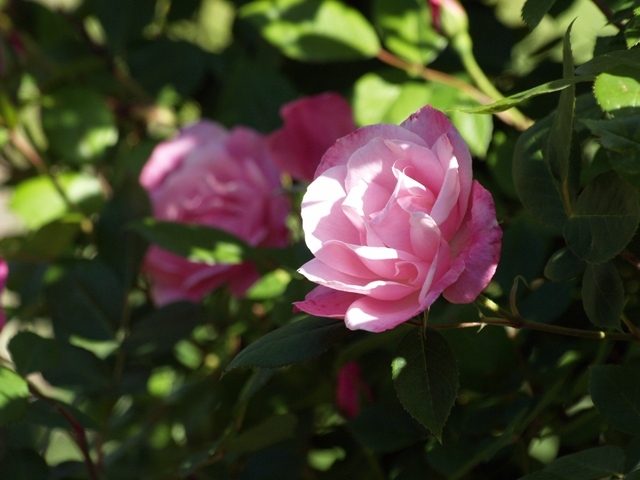 Ingrid Bergman is just starting to bloom and will continue to bloom for three more weeks. 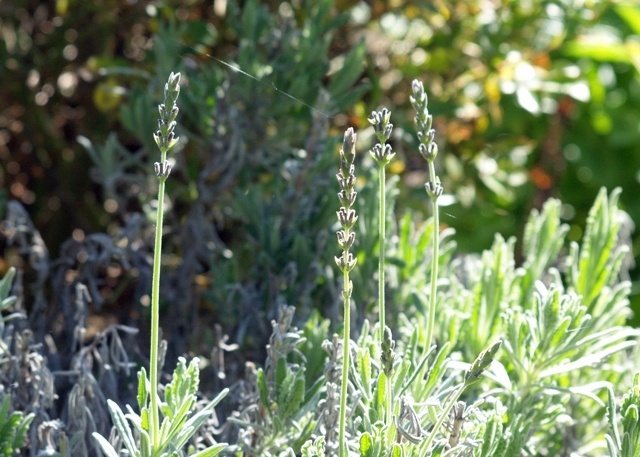 And, my french lavender will be ready to harvest in three weeks. It is wonderful to dry for sachets, wands and bath salts. Please link back to Susan's blog for more interesting and beautiful things to see. And, thank you for spending time with me. I love to share. Please leave a comment if you have time. I wanted to know the definition of Aloha http://www.to-hawaii.com/aloha.php Click on the website for What Does Aloha Mean? It means hello or goodbye. It also means love and affection. So I will say Aloha again. Great pictures! Happy Outdoor Wednesday. How beautiful and your photos are awesome. 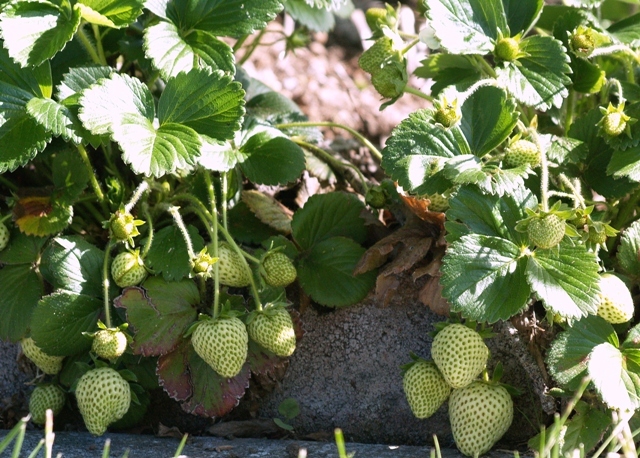 We just planted strawberries for the first time. We are anxious to see how they grow. Lovely photos! Have a great time in Maui. Been there twice. There isn't a more beautiful place in the world than the South Pacific. I love this post, Betty. Your photos are beautiful and the info informative. 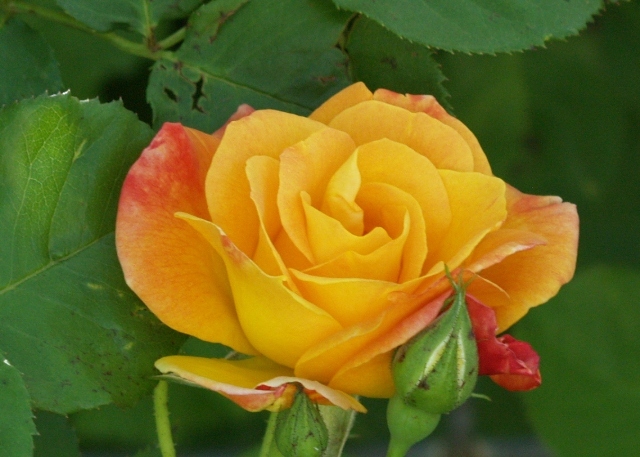 I loved learning more about roses. Your garden looks so lovely. I love your goose/duck? and that he is in your strawberries. Wonderful, wonderful photos. Your photos are beautiful. You have a spectacular garden. Oh, that is so beautiful! I enjoyed your pictures!